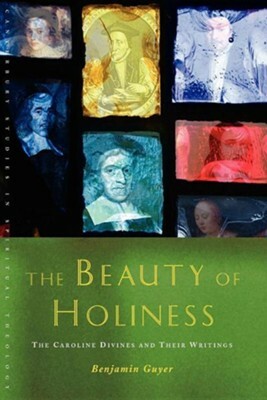 The Beauty of Holiness: The Caroline Divines and Their Writings offers an expansive and detailed portrait of the continued maturation of Anglican theology and devotion in the central half of the seventeenth century. The Caroline Divines have long been hailed as the patrons of an Anglican â€˜golden ageâ€. Their emphasis upon liturgical renewal and development, like their emphases upon learning and piety, have had a pervasive influence on the Anglican ethos that extends down to our own day. The Beauty of Holiness includes selections from key figures such as Lancelot Andrewes, John Cosin, and Jeremy Taylor, but also expands the canon of Caroline divinity to include lay writings, some of which were published posthumously. Traditional topics such as sacramental theology and private devotion are complimented by readings on poetry as a spiritual discipline, natural theology, and the importance of family prayers. Chapters survey diverse facets of Anglican orthodoxy such as liturgical practice, the cult of King Charles the Martyr, and defenses of the celebration of Christmas, while an introductory essay sets these developments within the historical context. The Beauty of Holiness thus functions as both an introduction to the Anglican past and a catechism for the Anglican present. "Benjamin Guyer, in this strikingly variegated collection of writings, sets out to change the prevailing conception of the Caroline Divines and their significance...The strength of the book lies in its provision of a wide range of sources to illustrate the religious literature of the period." I'm the author/artist and I want to review The Beauty of Holiness: The Caroline Divines and Their Writings.